Deported to Auschwitz concentration and extermination camp, Ester Wajcblum, born in Warsaw in 1924, worked in the Metall-Union metal factory as a prisoner. She managed to steal gunpowder at work and smuggle it into the camp, where she was in contact with the Jewish underground movement. On October 7, 1944, special detachment prisoners blew up Crematorium III of Auschwitz extermination camp, killing four SS men and injuring several others. After the special detachment’s attempted revolt, Ester Wajcblum was interrogated and beaten, but did not betray her secret. 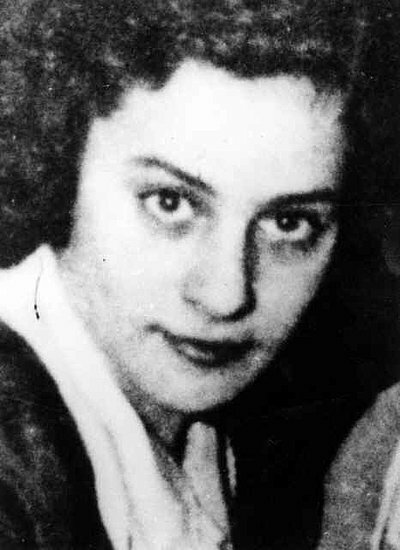 During the interrogation of one of her fellow conspirators, the SS later found out that Ester Wajcblum had smuggled explosives. She was publicly hanged along with other conspirators, including Rosa Robota, on January 5, 1945.